What is a Nutrient Field Trial? GrassrootsHealth implements four types of nutrient field trials. The first three are run by GrassrootsHealth virtually, participants sign up via our web site. They learn their vitamin D level and provide valuable health information for research. A fourth project is defined for medical centers or institutions. 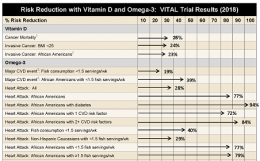 Focus on General Health – do you know your vitamin D level? In 2007, when GrassrootsHealth was formed, it was very hard to get a vitamin D test from your doctor, even though research was surfacing on the benefits of vitamin D levels in the range 40-60 ng/ml (100-150 nmol/L). The D*action field trial was born. Now with over 10,000 self-subscribed participants, D*action not only helps people take charge of their health from the comfort of their home, it provides much needed peer-reviewed research on a vitamin D replete cohort. (The average vitamin D serum level of participants in D*action is 44 ng/ml, as compared to 25 ng/ml in the normal population). Focus on Breast Cancer- Are you a woman aged 60 or older with no current cancer? Multiple studies have shown that raising vitamin D levels to the recommended range of 40-60 ng/ml (100-150 nmol/L) could reduce the incidence of breast cancer by 50-80%. GrassrootsHealth is running a field trial to test this hypothesis. Women 60 years or older, with no current cancer, and not currently being treated for cancer are allowed to join. The field trial monitors their vitamin D blood levels and health condition every 6 months for 5 years. Preliminary results of this trial were presented at the American Society for Nutrition’s Annual Meeting in 2014. 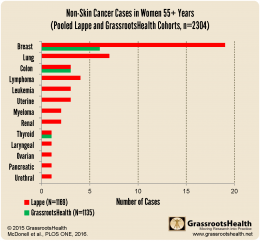 After following 844 women for 18 months, GrassrootsHealth found an 80% lower rate of breast cancer among those women with vitamin D levels ≥ 50 ng/ml compared to those < 50 ng/ml. View poster here. Focus on Pregnancy – Are you 12-17 weeks pregnant and interested in joining our vitamin D study? Research and nutrient field trials have found that vitamin D levels greater than 40 ng/ml (100 nmol/L) during pregnancy, starting as early as possible (even pre-conception) may lower incidence of preterm birth, gestational diabetes, post-partum depression, preeclampsia, and more. This is a fully sponsored project with limited spaces for participation. By joining this study you will test your vitamin D levels at three time points in your pregnancy and fill out health questionnaires for both you and your newborn. Do you want to run a nutrient field trial in your institution? Research demonstrates one potential complication of vitamin D deficiency in pregnancy is preterm birth. Preterm births are closely associated with cerebral palsy, mental impairment and permanent hearing loss among other deficiencies. According to the March of Dimes, approximately 9.6% of all babies in the US are born prematurely and carry an extra health care burden of $50,000 for hospital costs alone. Research has shown that raising vitamin D levels in pregnant women > 40 ng/ml can reduce over 50% of preterm births compared to women with levels < 20 ng/ml. Protect our Children NOW! is a well-defined nutrient field trial for a hospital or clinic. A new standard of care is born allowing all pregnant women receiving prenatal care at that location to be screened for vitamin D deficiency and to raise their serum levels to at least 40 ng/ml as soon as possible during pregnancy. Educational materials for medical staff and patients are included, as well as an onsite project manager. It is typically funded by the location and/or insurance companies – as the project cost is much less than the projected health care savings. GrassrootsHealth provides a proven implementation model, tools, research and findings within 24 months. Contact GrassrootsHealth about starting a clinical innovation project today. Starting September 2015, the Medical University of South Carolina, under the direction of Dr. Roger Newman, has implemented GrassrootsHealth’s Protect our Children NOW! nutrient field trial in their practice. Every mother that comes to one of their clinics for treatment, thousands of mothers per year, receives a 25(OH)D test during their first prenatal visit (typically 12-14 weeks gestation). After reviewing the results, their OB may recommend supplementation to increase vitamin D levels, usually starting with 5000 IU vitamin D / day (their average entry vitamin D level is 20 ng/ml or below). Vitamins are free to patients under the program, thanks to the sponsorship of Bio-Tech Pharmacal, Inc. The OBs continue to monitor blood levels to ensure > 40 ng/ml throughout the pregnancy, typically testing again at 24-28 weeks and again at 34 – 36 weeks. Note: Before the project began, 80% of all their patients and 100% of their African American patients were below 40 ng/ml. Education of all of their OBs, over 20 doctors and health care providers, has occurred through free online continuing medical education (CME) courses provided by GrassrootsHealth. Educating the entire staff at MUSC was an important part of the project, so that all of the staff could buy into the new standard of care. Educational materials are also provided for the mothers to help them understand the importance of taking their supplements. An onsite project manager assists in the education and follow through of all aspects of the program with staff and patients. 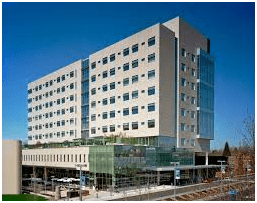 Not only did MUSC house the groundbreaking researchers – Drs. Carol Wagner and Bruce Hollis – but they also had support and funding from Select Health of South Carolina. Delivery information available for 1,387 women who had at least one vitamin D test during pregnancy, shows the same reduction in preterm birth seen in the earlier clinical trials. Preterm births decreased as vitamin D levels increased, up to 40 ng/ml, and then flattened out. There will be a paper published in the first half of 2017 with the results and Dr. Roger Newman hopes to continue this nutrient field trial indefinitely. Now that the results are in the staff at MUSC are even more bought-in to the project. In addition, we are searching for other divisions of the hospital, i.e. neurology, cardiology, to start a similar program. Can Vitamin D Help Prevent Lung Cancer?